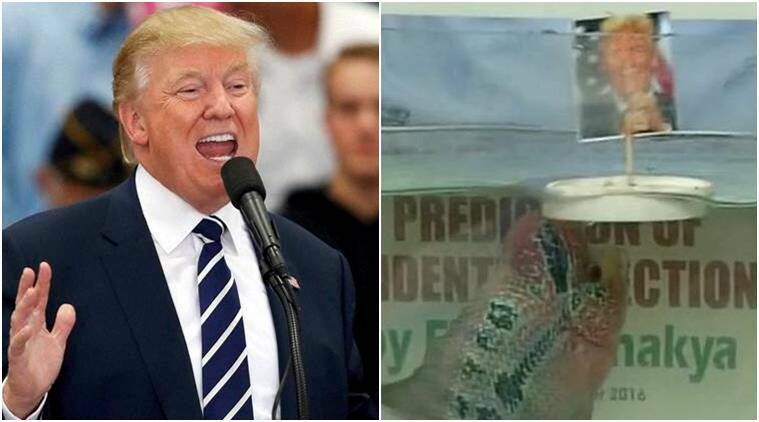 This psychic fish in Chennai had correctly predicted the result of the US presidential election a day before. A day before voting began in the US, it seemed Democrat presidential candidate Hillary Clinton had a lead over Republican Donald Trump. But the truth now is out in the open for everyone to slowly take in — yes, Donald Trump has trumped the 2016 US elections, becoming the 45th President of the United States. But even before all the polling and vote counting began, there was someone who knew exactly who will win the elections. Chennai’s Chanakya, the fish was probably one of the first to accurately predict the future of the US. Many would remember the Chennai fish from the time it had correctly predicted the results of the 2015 cricket World Cup semi-finals declaring New Zealand the winner and later, even predicted India’s fate in the semi-final match with Australia TOO. And when the flowerhead cichlid fish had to finally choose between Clinton and Trump, the psychic fish went for Trump! And boy, could he be more right! Apparently, the fish lives in a tank at Chennai’s Indian Community Welfare Organisation NGO office. It was given two feed sticks with photos of the two candidates on them. And the fish swam towards the stick that had Trump’s photo on it, said ANI. While, back then many Twitter users refused to believe that the fish has actually chosen Trump, whose crass sexist remarks have made constant headlines in the past, we are guessing the loyal Trump supporters are having their last laugh now.